Today the Muslims rejoice together worldwide as they celebrate the holy Eid al-Adha. This is one of the key Islamic holidays, which is meant to be recognition of believers’ spiritual strength, high morality, compassion and humanity. 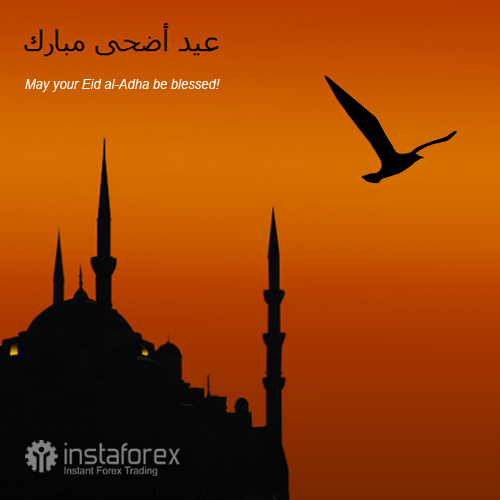 InstaForex Companies Group heartily congratulates all the Muslims of the world on the blessed day of Eid al-Adha! Let this holiday warm your heart and home. We wish sound health, happiness and well-being to you and your families!